Before a couple years ago, I never used to be a huge egg person. For some reason, I thought they were really weird. 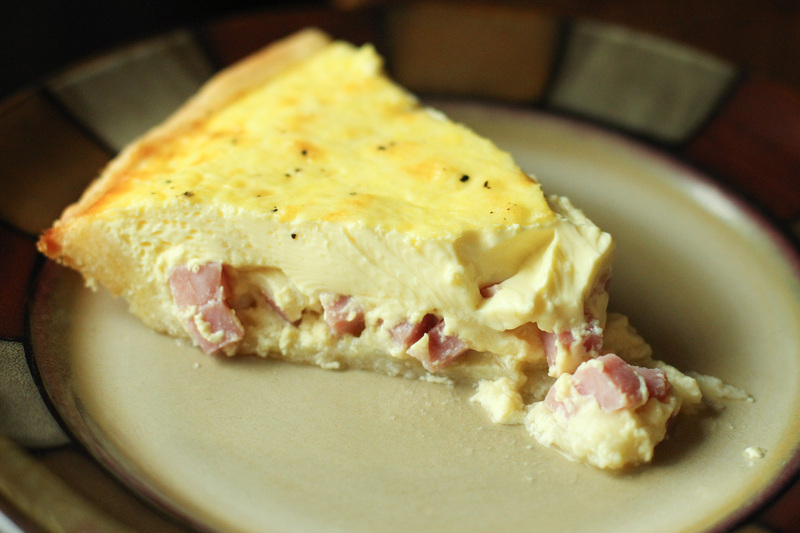 It was probably just the gelatin texture that turned me off, but there was definitely a part of my life when I would get quiche for dinner and only eat the crust and the meat inside. Fortunately for me, those days are over. I now enjoy eggs in most forms, my favorite being a good old fried egg, sunny side up. Nothing is quite as satisfying as breaking the middle, letting the yolk run out and soaking it all up with some toast. But a close second for me is quiche. 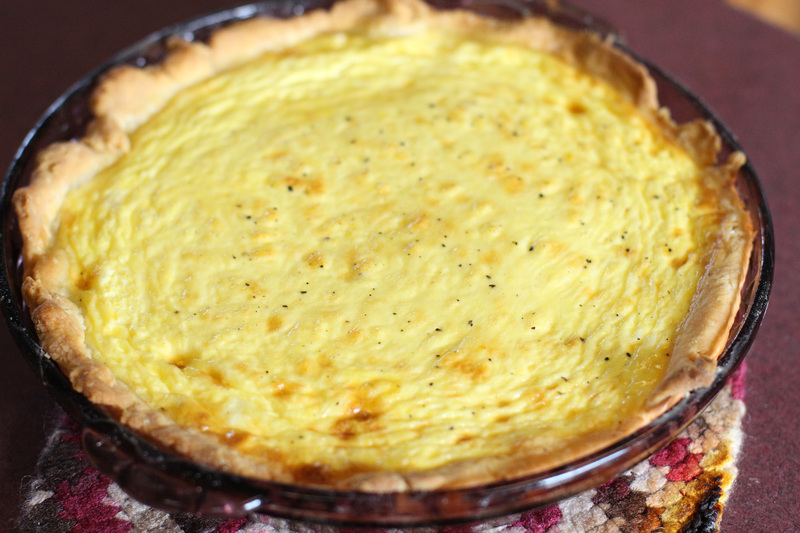 Quiche is the perfect kind of Sunday brunch dish, especially when you use mozzarella cheese (in my opinion, one of the best of all the cheeses out there) and some kind of cured meat. I used ham here, but bacon has been great in the past, and sometime I’d love to get fancy and throw in some prosciutto or pancetta. But I’m sure you could add probably literally anything, and this dish would still be fantastic. 1. Combine flour and salt in a medium bowl, then cut in butter and shortening. 2. Combine water, 1 egg and vinegar in a small bowl, and add to flour mixture. 3. Wrap dough in plastic wrap and refrigerate for 1 hour. 5. 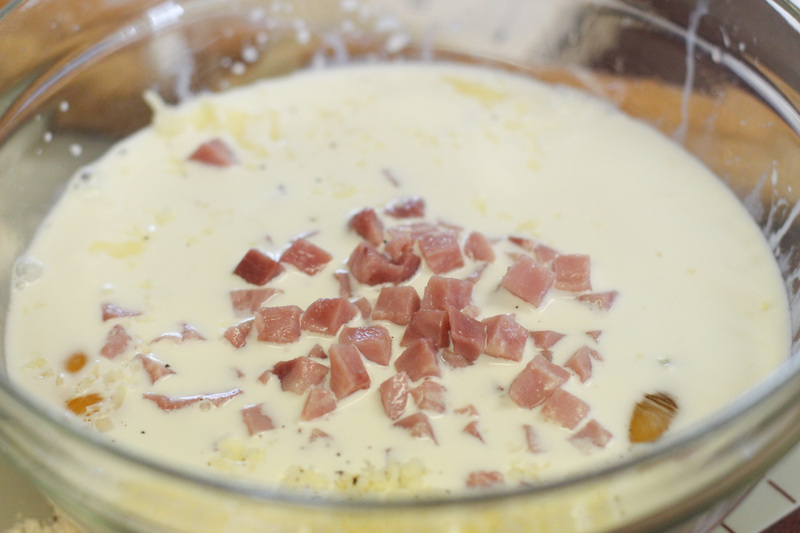 Whip 3 eggs, then add cheese, cream and ham. 6. 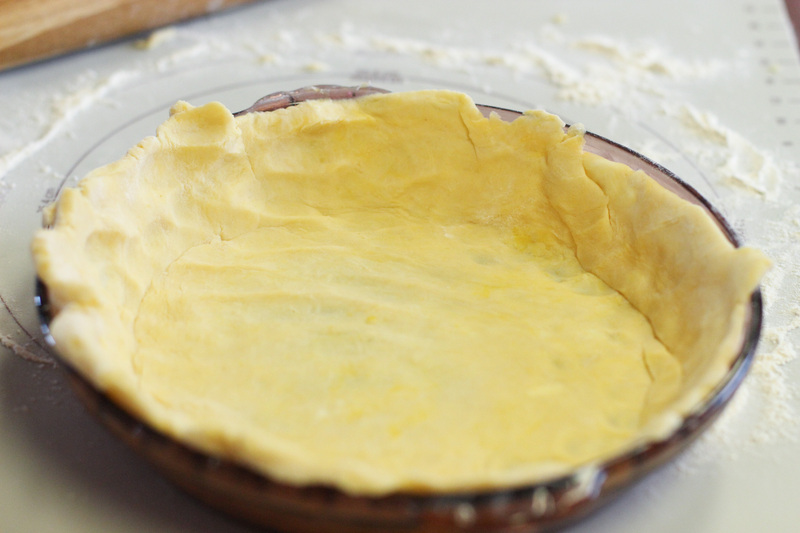 Roll out refrigerated pie crust dough and place in a round glass pie dish. 7. 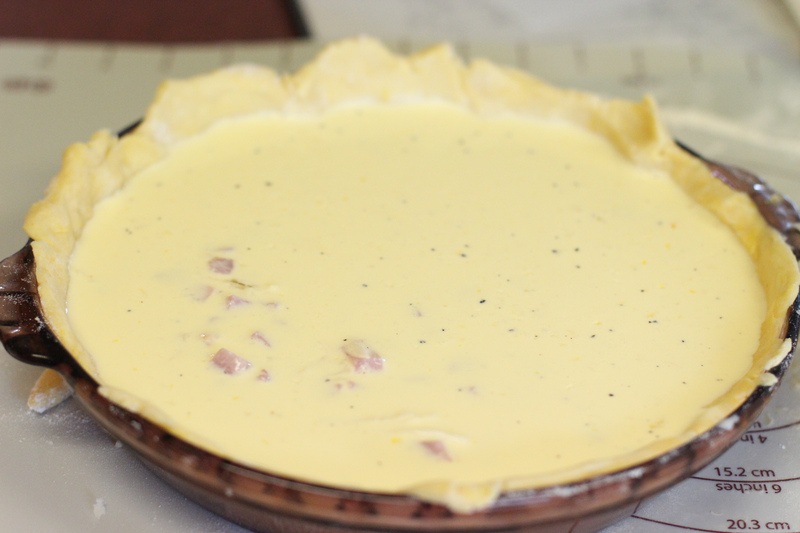 Pour egg mixture into pie crust. 8. Grind black pepper on top of the egg mixture. 9. 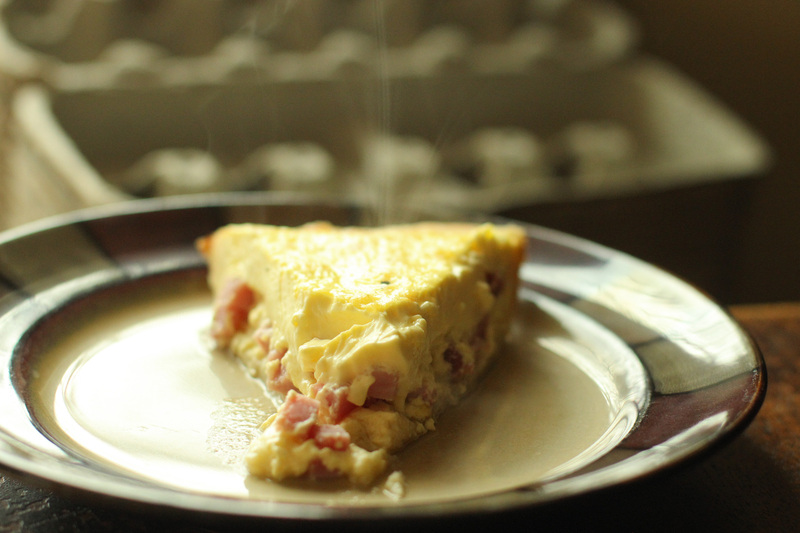 Bake quiche for 35 minutes, or until top is golden brown and eggs are firm. This entry was posted in brunch, dish, Recipes and tagged eggs, food, foods, ham, mozzarella, pie crust, quiche, quiche lorraine, recipe, recipes. Bookmark the permalink.